Zero-K is a free, multiplatform, open-source real-time strategy game in which massive robot armies fight in an endless conflict. A powerful interface allows players to easily implement their economic, strategic, and tactical decisions. 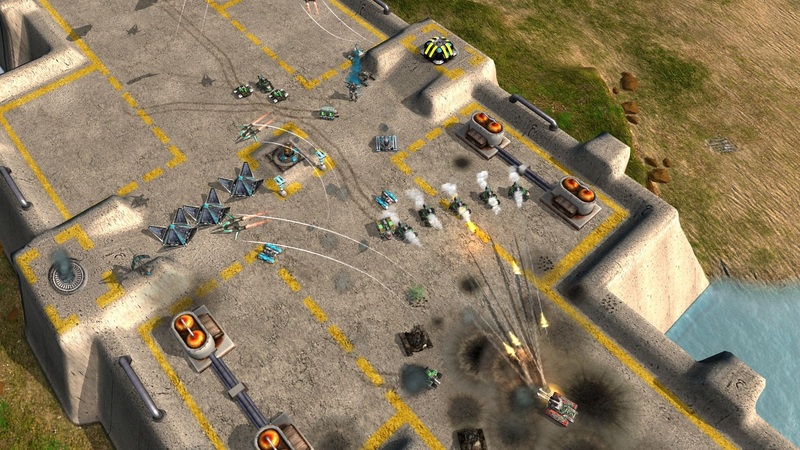 Units interact intuitively, using real-world projectile and movement physics. It boasts over 100 diverse units including Vehicles, Tanks, Hovercraft, Planes, Gunships, Ships, Spider walkers, and dozens of other different robots offering unique strategic options and a dynamic combat style.